This is where you leave the grey water drain open and let the water collect in a bucket under the drain. Having two buckets allows one to always be under the drain while you are emptying the other. This method is a good way around issues with drain valves freezing up (or even the entire grey water tank freezing solid!) on non-winterised vans. 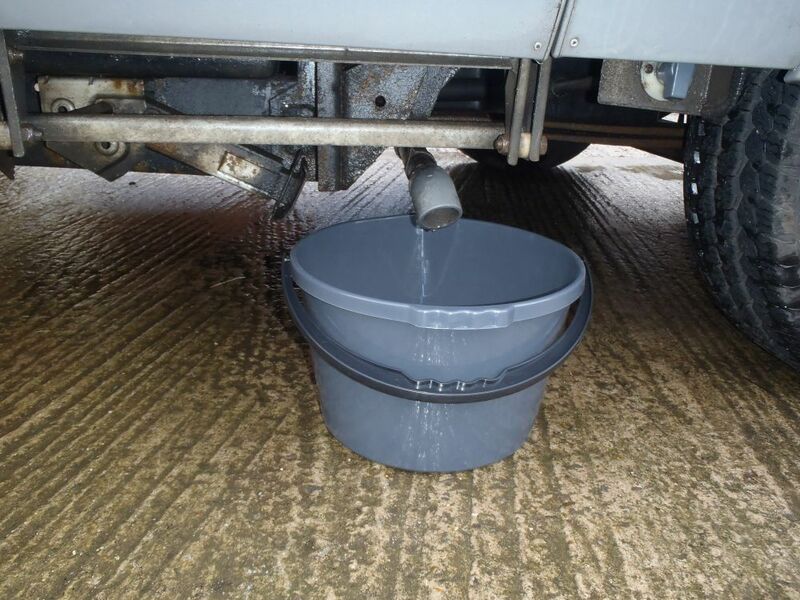 Freezing has not been an issue so far on our old Hymer but we have realised there is a benefit to using buckets even if you don’t really need to – mainly that it can be a faff to move your bus just to service it when you are snowed in, wrapped up in insulated covers and with your steady legs frozen to the ground!